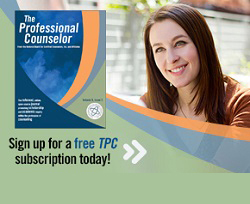 In 2011, the National Board for Certified Counselors, Inc. and Affiliates (NBCC) published the first volume of TPC. At the behest of TPC’s publisher, Dr. Thomas Clawson, the TPC Outstanding Scholar Award was created to recognize the most outstanding article of the year. After the close of the first volume, the editorial board committee studied the journal articles and selected the top several fitting the following criteria: elite scholarly style, innovative and inventive material, and the utmost relevance to the counseling profession. The first volume included exceptional material covering a variety of relevant topics, which made it challenging to distinguish one article as outstanding among the collected works. After careful consideration, the 2011 TPC Outstanding Article Award went to Lisa Camposano for her article “Silent Suffering: Children with Selective Mutism” in volume 1, issue 1. Ms. Camposano’s article brings attention to the lack of research on selective mutism and concerns of misdiagnosis, and provides implications for counselors by covering common disorder-related issues and sound treatment approaches. Ms. Camposano first encountered selective mutism while teaching a few years ago. After she was informed that she would have a student with selective mutism, Ms. Camposano began to research the disorder so that she could provide the student with the support needed for optimum learning and development. During her research, she noticed that many of the available resources did not include implications for teachers or counselors. As she notes in her article, selective mutism came to the public’s attention after the Virginia Tech massacre, when it was revealed that the gunman, Seung-Hui Cho, had been diagnosed with the disorder. 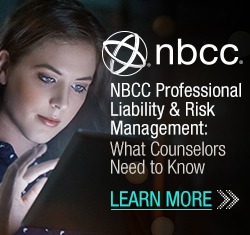 However, the lack of consideration within the professional counseling community became apparent as she continued her research into interventions for her student. After Ms. Camposano began graduate school for school counseling at The College of New Jersey, she continued to research selective mutism using a counseling professional framework. That experience led to a deeper appreciation for research and an increased motivation to fulfill the essential role and responsibility of a counselor to contribute to the research literature that ultimately fuels evidence-based practices. Ms. Camposano now plans to focus on other school counseling topics and advocate for clients by increasing accessibility to community resources. 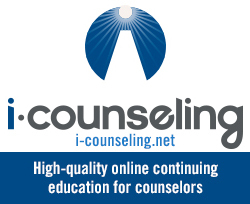 Regardless of the counseling specialty area, she will continue to make her voice heard in the counseling profession.